Who Looks Best in Single-Rip Jeans: Kim Kardashian or Jennifer Lopez? Who Looks Best in Single-Rip J Brand Jeans: Kim Kardashian or Jennifer Lopez? 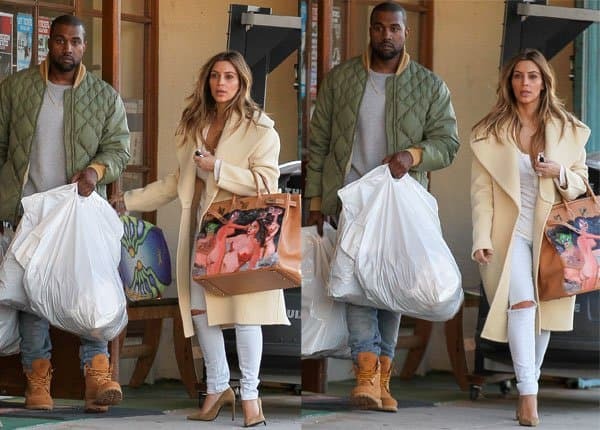 New mother Kim Kardashian was spotted doing some post-Christmas shopping with her fiancé Kanye West, looking au naturel. It’s a look that her other mommy sibling Kourtney has been sporting a lot lately, and which surprisingly doesn’t look so bad on Kim. 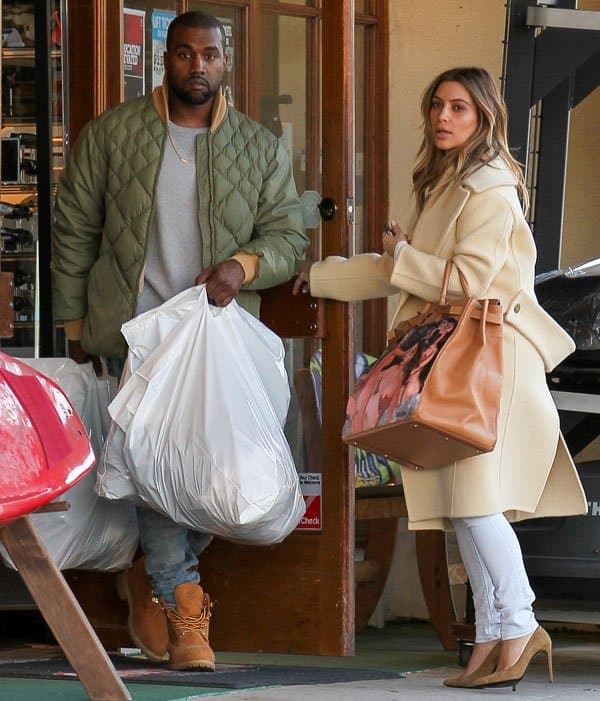 The two were spotted exiting a sporting goods store with four huge bags of purchases (carried by the gentlemanly Yeezus, of course). We reckon these two fell a bit behind in their Christmas shopping this year. Kim sported a conservatively ripped pair of white jeans from J Brand, which she wore with a casual white top and a long ivory coat from Céline. 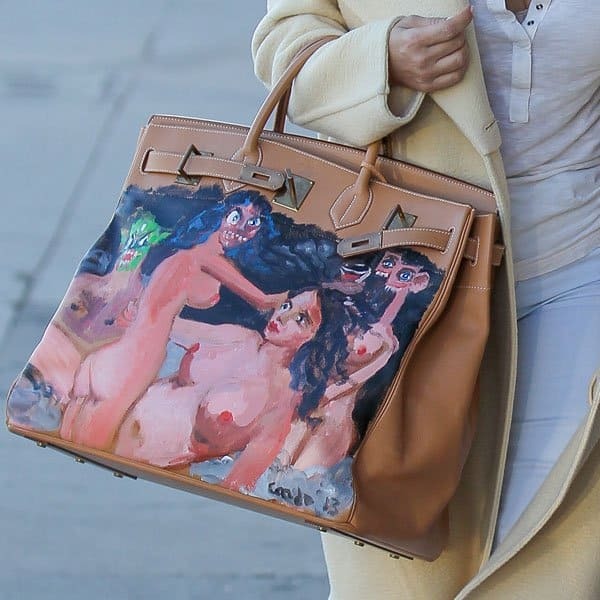 The 33-year-old ShoeDazzle founder paired her white-and-ivory ensemble with a pair of “Paris” pumps from Saint Laurent and a one-of-a-kind Hermès Birkin bag, which was given to her for Christmas by Kanye. We like Kim’s subtler winter coat outfit, coming from her golden ensemble at a special event honoring Oprah a couple of weeks back. We think this outfit coupled with her no-makeup face exudes nothing but freshness – perfect for that Christmas morning look. We love how this pair of jeans only has one unapologetic rip across one knee, making it sit somewhere between sophisticated and casual. J Brand 811 Mid-Rise Skinny Leg, $183 at Shopbop and Amazon. Just a few months earlier, we spotted Jennifer Lopez in another pair of single-rip J Brand 811 jeans. Who do you think looked best?